Gail Jones is the author of two short-story collections, a critical monograph, and the novels Black Mirror, Sixty Lights, Dreams of Speaking and Sorry. Shortlisted three times for the Miles Franklin Award, her prizes include the WA Premier's Award for Fiction, the Nita B. Kibble Award, the Steele Rudd Award, the Age Book of the Year Award, the Adelaide Festival Award for Fiction and the ASAL Gold Medal. She has also been shortlisted for international awards, including the IMPAC and the Prix Femina. Her fiction has been translated into nine languages. Before coming to UWS Gail worked in the Department of English at the University of Western Australia. In 2001 she received the Australian Universities Teaching Award for Humanities and the Arts. 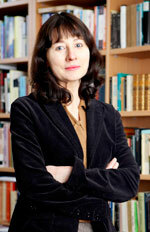 Her academic interests are in narrative, cinema, cultural studies, contemporary literature and Australian literature.